Jet Support Services, Inc. (JSSI) is pleased to provide a roundtrip flight on a Boeing Business Jet to bring the children and teachers of the Voices of Haiti Choir to New York City for a week of concerts with Andrea Bocelli. The flight is being labeled the “Voices of Haiti Flight.” JSSI is also hosting a special “Voices of Haiti Cruise” to the Statue of Liberty with the Andrea Bocelli Family, the Book Family, and Martha Stewart. Martha will be welcoming the children from Haiti, to demonstrate the value of healthy and delicious nutrition. 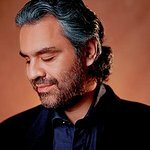 Neil W. Book, CEO of JSSI, said, "All of us at JSSI have great respect and admiration for Andrea and Veronica Bocelli, and for the many humanitarian contributions the Andrea Bocelli Foundation and the St. Luke Foundation are making in Haiti." “Veronica and I are grateful for the many wonderful contributions that my good friends Bob and Amy Book and the entire JSSI organization are making to the Andrea Bocelli Foundation and to the St. Luke Foundation. Their generosity and active participation with the children will inspire them and the People of Haiti for many years to come,” said Andrea Bocelli.